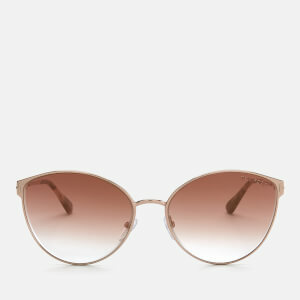 Women’s retro-inspired octagonal sunglasses from Chloé. 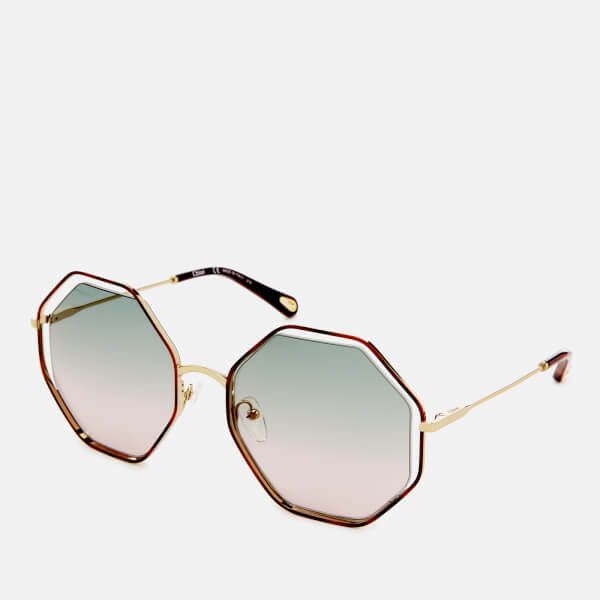 Inset with green and pink gradient lenses that provide 100% UVA/UVB protection, the 'Poppy' oversized sunglasses have a ‘70s-inspired design with Havana foil framing the floating lenses and gold-tone metal details throughout. 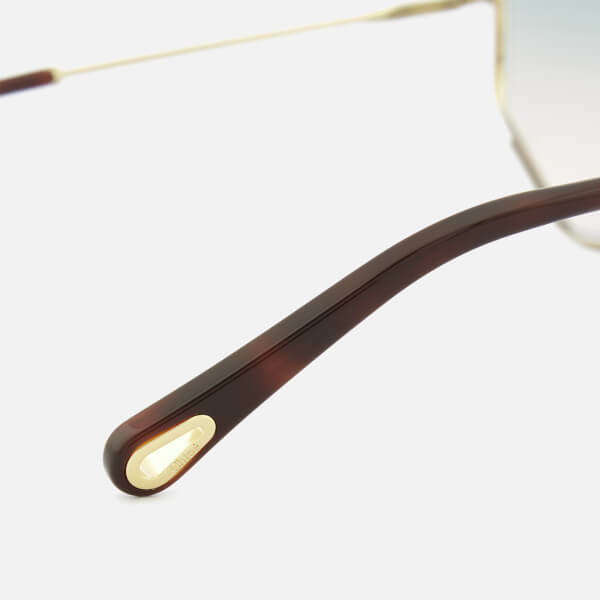 The Havana temple tips have Chloe’s signature drop-shaped opening for eyewear jewellery. 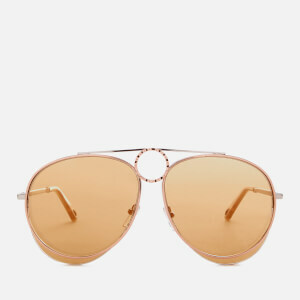 The sunglasses are designed with a Chloé logo engraved on the top of the left temple and hot-stamped logos on the nose pads. 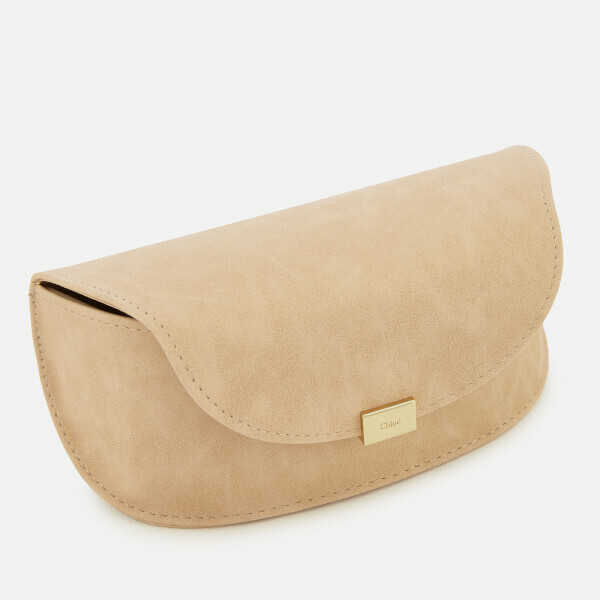 Presented in a semi-rigid logo case, the sunglasses are complete with a linen soft pouch and lens cloth. 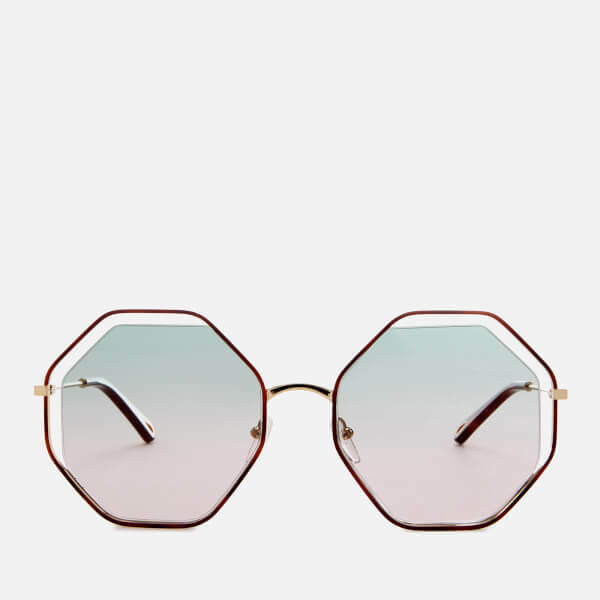 Eye Width: 58mm. 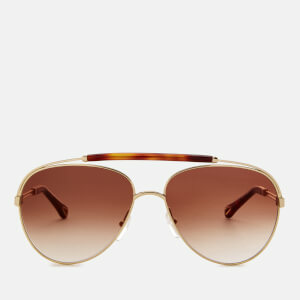 Bridge Width: 20mm. 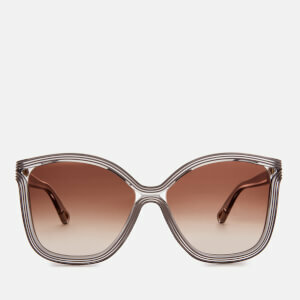 Temple Length: 140mm.